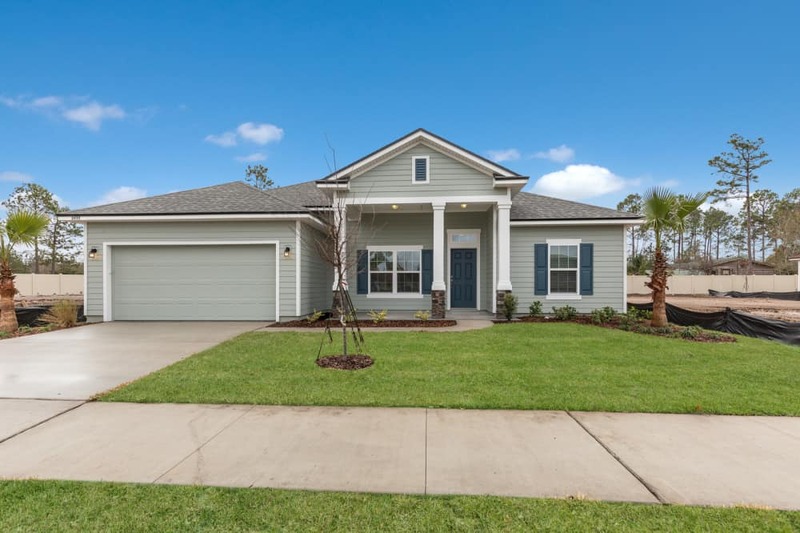 The Avalon II in North Hammock is a beautiful open floor plan with upstairs bonus space. The interior brink accenting through the kitchen is a definite eye catcher for the Avalon II. Also featured in our North Hammock model is a beautiful fire place a wrap around kitchen, offered as an option on any Avalon II home. While the Avalon II is perfect for a variety of home owners, its 5 bedrooms are sure to make it a slam dunk for any family needing a little extra space to spread out! From I-295 N: Take exit 40, Alta Drive, Turn right and travel 1.5 miles to New Berlin Rd. Turn right on New Berlin Rd. Travel straight for 2 miles and keep left towards Cedar Point Road. In 1 mile turn left onto Grover Road. Travel .25 miles and the community will be on the left. Dream Finders Homes is a private, national home builder dedicated to building the highest quality constructed homes at the most affordable prices. Dream Finders Homes prides itself on offering transparency in the home building process while earning the reputation of being 'The Best Value at Every Price Point.' Dream Finders Homes strives to work with every home buyer to build a unique home that fits their lifestyle. Dream Finders Homes, building the American Dream one home at a time in Northeast Florida, Austin, Orlando, Colorado, Maryland, Savannah and Coastal South Carolina.